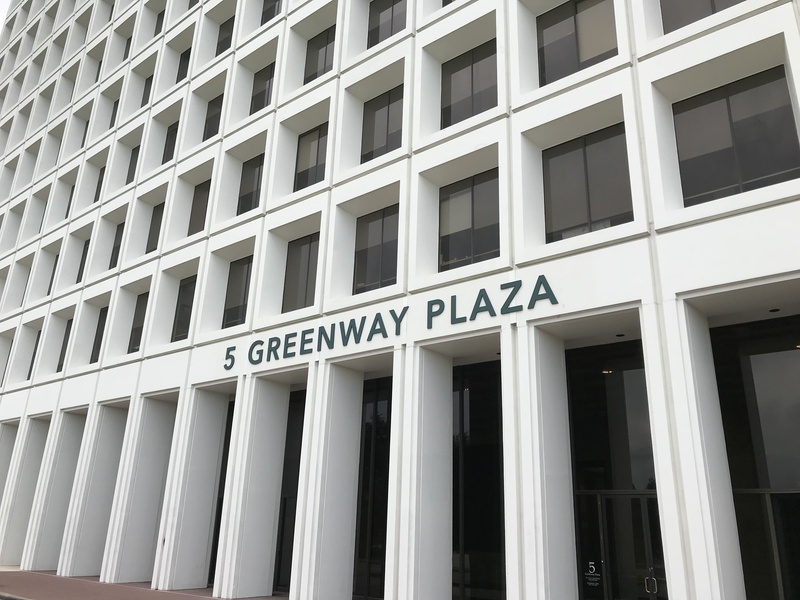 The 5 Greenway Plaza building has 806,000 SF of sublease space, more than any other building in Houston. HOUSTON – (Realty News Report) – Forty-three full floors of sublease office space will be returned to Houston building owners within the next 12 months as the term of the leases expire, according to a new report by Colliers International. Overall, Houston has 288 full floors of sublease space, with over half of that with five years or more of term remaining, Colliers reported. More than 9 million SF of sublease space exists, most of it related to shrinkage in the energy industry. The biggest block is Occidental Petroleum’s 806,000 SF in 5 Greenway Plaza, followed by BP’s 479,000 SF in Four WestLake Park, and KTI/Technip’s 376,000 SF in Energy Tower II. In downtown, significant progress has been made in filling the 800,000 SF put on the market by Shell Oil in the One Shell Plaza, 910 Louisiana. NRG leased a big block in the building and now only 246,000 SF of the Shell sublease space remains. Other buildings with approximately 200,000 SF include: Three Westlake Park (Phillips 66); 1100 Louisiana (Enbridge); 10777 Clay Road (AMEC Foster Wheeler); Energy Center I (Foster Wheeler); and Westway III (GE Oil & Gas). The current supply of sublease is less than 10 million SF, down from a peak of 12 million SF in the third quarter of 2016, Colliers reported. Even with the move by OXY depositing 814,000 SF in two Greenway Plaza buildings, the city has absorbed 326,000 SF of sublease office space so far this year, Colliers reported. The Energy Corridor area, Downtown and Westchase have the largest concentrations of sublease space. While the Houston office market has been soft, other sectors in the commercial real estate market are fairly robust. And single-family home sales in June were the strongest month ever for home sales in Houston real estate history.